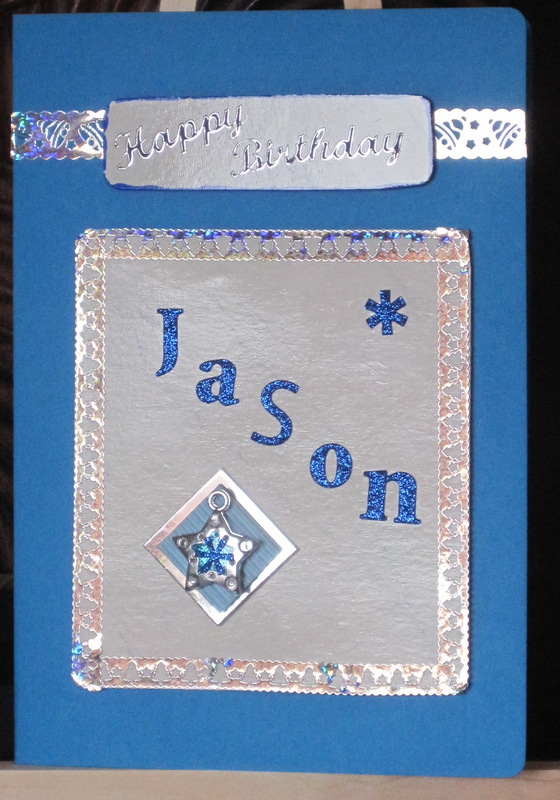 This is the birthday card that my mother made for my son Jason. I love the silver and blue combination. Lovely card Grace, very sparkly.